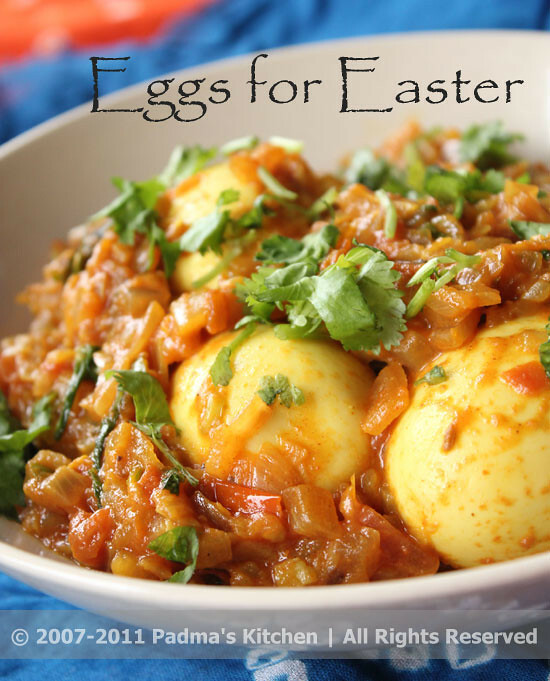 This is very simple yet interesting curry made with hardboiled eggs, tomatoes, onions and green chillies. The simplest ingredients readily available in our kitchen across the globes. When you are stuck in the kitchen wondering what to prepare for the weeknight dinner or weekend lunch. 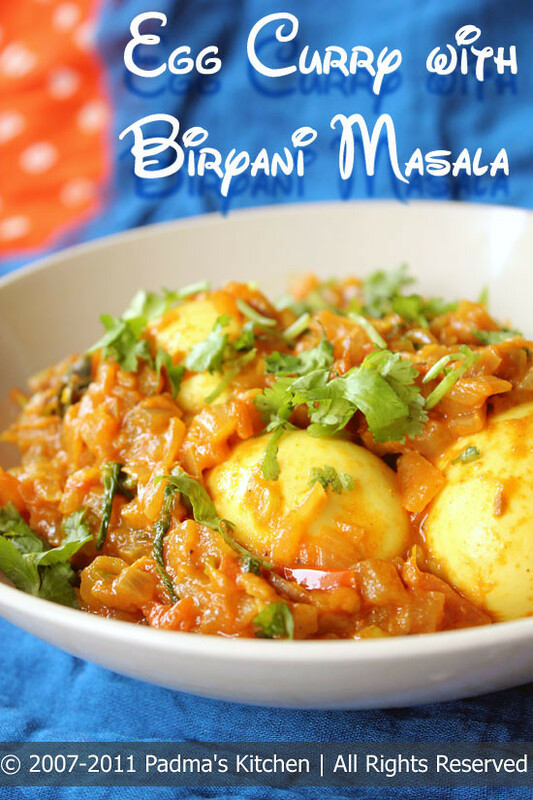 The combination of tomatoes, onions and green chillies with a dash of the very popular "Biryani Masala" (Indian spice mix) gives out spicy, tangy hot coating to the bland eggs. This curry is best eaten with freshly cooked basmati rice. But there is no end to your imagination, you can have it with pasta too! When you are simply very lazy to cook any fancy meal for your family then this curry come to the rescue. If you are a rice lover, you will love to have it over and over again, trust me!! Boil 4 eggs in 3 cups of water or till the eggs are submerged fully in water. For eggs to be removed easily from its shell, check this procedure: Boil eggs for 10 mins on medium high and turn off the flame. Let it stand in the boiled water for 5 more minutes and then cool them in cold water for 3 minutes. Following this method will give you a bright yellow, firm egg yolk and a clean eggwhites, easy to remove shell instead of the chipped ones. You can do this for deviled eggs too. For the curry, heat oil in a kadai or pan. Let it heat through and start adding curry leaves first and then red onions. Add a pinch of salt to let the juices from onions come out and fry till they turn pinkish in color. Add ginger garlic paste, green chillies and chopped tomatoes and saute it for 10 minutes. Tomatoes should turn into gravy consistency then add all the spices and powders like turmeric powder, chilli powder, paprika powder, biryani masala and salt. Fry for another minute or two and then add ½ cup water. Now close with a tight lid and let the curry cook. 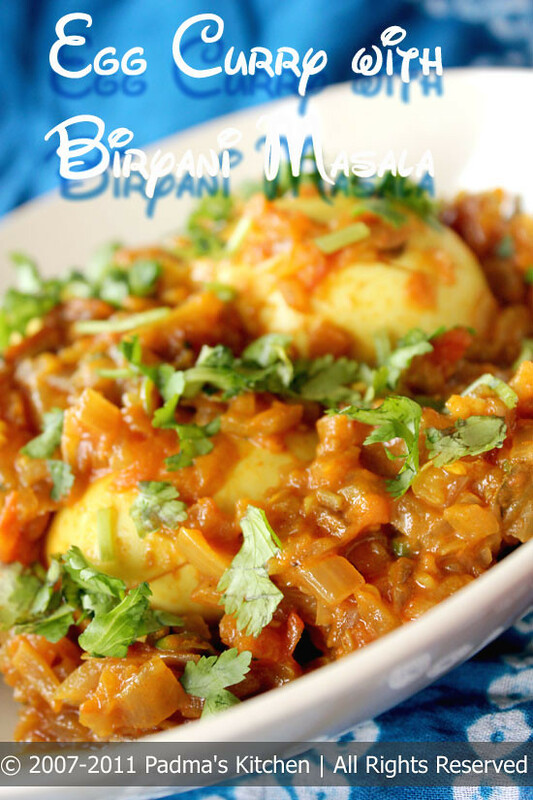 Meanwhile make slits on the hardboiled eggs with a paring knife so that way the curry get into the eggs halfway. Add these eggs tot he curry and cook for another 5 mins or so. Check for salt and garnish with chopped cilantro. 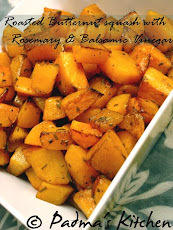 Serve with cooked rice or pasta. WOW...wat a colorful one... Nice recipe Padma. Gud pics. YUM! Makes me hungry, simply irresistible egg curry..
Padma, sorry for replying a bit late regarding blogging marathon, actually blogging marathon goes for a nonstop a week or more than week of daily posts regarding recipes or about food, the brain child of this blogging marathon is Srivalli of spicing you life, u have to mail her once she announce about the month's blogging marathon to join others,pls do leave a comment for further details at her space,here is the link of her space..
she will either reply or mail u regarding the details,hope i cleared ur doubt regarding Blogging marathon..
the first step says to start with the curry leaves....but i don't see that listed in the ingredients list...what should we be using?